Take a trip through Morganton and Asheville, where you’ll go on great outdoor adventures, working up an appetite for incredible food and drink experiences. The greatest adventures happen outdoors. In North Carolina, that passion for our surroundings comes with an inherent desire to enjoy and respect the delicious side of nature. We’re a grain-to-glass, farm-to-table and foliage-to-face state with a lot of ways to experience the great outdoors. Our state has many agritourism adventures, and here we’re guiding you on a 3-day trip through Morganton and ending in Asheville. Begin your adventures in and around Morganton by soaring among the clouds at Thermal Valley Hang Gliding. You’ll experience unique views of South, Grandfather, Table Rock, and Hawk’s Bill mountains and Catawba River. While you might expect hang gliding to be an adrenaline-fueled activity akin to skydiving, the experience is surprisingly relaxed – like lying in a hammock while you gently float back to the ground after being untethered from the tug plane. Continue your way through Burke County at Apple Hill Orchard and Cider Mill. Pick your own apples from 14 varieties, sample fresh goodies from the bakery and slurp on a cider slushie while you take an educational or wagon orchard tour. Next, enjoy Morganton’s local produce in a whole new way at Fonta Flora Brewery. By foraging for wild flora and partnering with local farmers, this brewery utilizes ingredients not readily found in craft beer like beets, ground ivy, spruce tips, rhubarb and black locust flowers. These are also the folks behind such events as the State of Origin Festival, featuring mostly North Carolina breweries, and where every beer must be brewed with North Carolina ingredients. Finish the day at another scratch-prepared restaurant, Root & Vine, and dig into the wood-grilled, head-on North Carolina mountain trout on the beautiful patio under strings of white lights. Then, tuck in at The Inn at Glen Alpine, or one of several area cabins or campgrounds. Kick off your second day at the Morganton Farmer’s Market to enjoy some fresh fruit and baked goods for breakfast as you browse the flowers, produce, crafts and HoofandPaw Farm bath and body products made with goat’s milk. Grab some fresh bread, meats, cheeses and veggies to enjoy as a super fresh picnic later to break up your trek through South Mountains State Park, North Carolina’s largest state park. 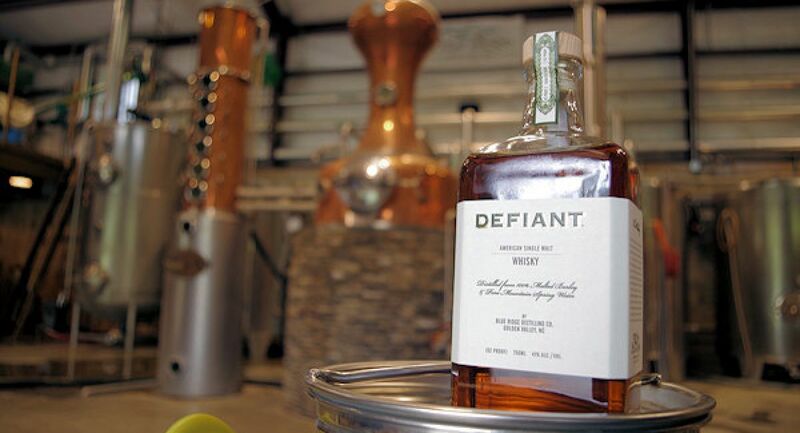 Add mountain biking, fishing, or waterfall viewing to your South Mountains itinerary before heading to Blue Ridge Distilling Co. to sample Defiant, the award-winning American single malt whisky. This salvage diving crew turned whisky distillers have a beautiful setup on the site of a former Girl Scout camp and offer tours as well as hosting events and pairing dinners occasionally. photo: Blue Ridge Distilling Co.
About 10 miles up the road, Silver Fork Vineyard & Winery also sits on a beautiful piece of land surrounded by spectacular views of the South Mountains. Visit for the wine, or just come for the backdrop and Farm to Fork Eatery, an on-site food cart serving salads, croissant sandwiches and paninis. You might need a little liquid courage for tonight’s adventure: pursuing the unidentified Brown Mountain Lights. Choose from a beginner, intermediate, or professional tour – the latter being described as “ideal for paranormal professionals” – and decide for yourself if the lights are a scientific phenomenon, ghostly encounter or proof that aliens exist. Time to explore Asheville, one of Travel + Leisure’s “Best Cities in the U.S.” Head straight to Sunny Point Café, where an on-site garden keeps huge dishes impressively fresh, and ample vegan and gluten-free choices help keep the line out the door during peak hours. After you’ve had your fill, pick from the bounty of agritourism activities offered in Asheville. Foodies will salivate over the forage tour from Wild Food Adventures or a cooking class. Water lovers will want to glide on the French Broad via paddleboard, kayak or tube, and aerial enthusiasts can zip line with views of the Blue Ridge Mountains. 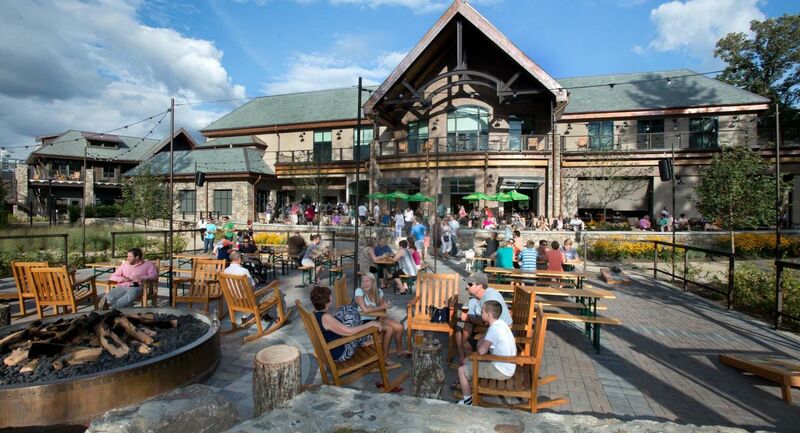 Follow your jaunt with a visit to Bhramari Brewhouse or Sierra Nevada Brewing Co. Sierra Nevada is America’s first LEED-certified production brewery, and its $175 million facility outside of Asheville, in Mills River, features an impressive taproom and beautiful back porch and beer garden. Bhramari Brewhouse is an even newer addition to Beer City’s scene, with a nature-inspired décor and beer menu featuring fruit-forward beers brewed with local ingredients, such as grains from Riverbend Malt House or honey from Haw Creek Honey. Grab some take-home beers to pair with your meaty haul from The Chop Shop Butchery, Asheville’s first whole-animal butcher shop with sausages, deli meats and charcuterie boards that make for a delicious on-the-go dinner. Finish the day by taking in the sunset from the Blue Ridge Parkway, ideally at Craggy Pinnacle, where you’ll find dramatic views after taking an easy hike from milepost 364.1. Soak in the last slivers of light before heading to your overnight accommodations at Mount Mitchell Inn, one of four parkway camping areas near Asheville; or rent a nearby cabin or yurt to squeeze in a bit more natural beauty.